As we all know, nothing is more frustrating than accidentally deleting a photo or video from your phone and having no way to recover it. Such situations can lead to anger, frustration, and even a distrust of your smartphone’s ability to reliably store your most valuable information or memories. In order to avoid such difficult situations, we strongly encourage smartphone users to regularly backup their device’s data, as this proactive step can help to ensure that your data is able to be easily recovered in the event of unexpected damage or resetting of your device. My Smartphone is Backed-Up, But I’ve Lost My Data. Now What? At the start of the smartphone revolution, users who found themselves the victims of unknowing data deletion would oftentimes be out of luck, as reliable options for the retrieval of mistakenly deleted data were not available on the market for consumers. But what if we told you that those who find themselves in a situation with mistakenly deleted data now have a plethora of options that can assist them in retrieving their valuable data? Luckily, those who find themselves in such a difficult situation now have many options. This is especially true for those who own Samsung Galaxy phones, as the Android operating system underlying these devices has built-in options for data recovery that are accessible through specialized computer-based software packages. However, assessing you lost data utilizing just the Android operating system can be a difficult and clunky process, which is why innovative companies have developed extremely useful applications that allow users to quickly recover deleted data from Samsung phones. With such options in mind, let’s take a look at a couple different approaches smartphone users have for Samsung data recovery. As we previously mentioned, there are a number of open sources, computer-based applications that allow Samsung Galaxy users to recover data that they may have accidentally deleted. Such recovery tools are critical in our modern world, as many people these days store everything from the most precious memories to the most valuable information on their smartphones. 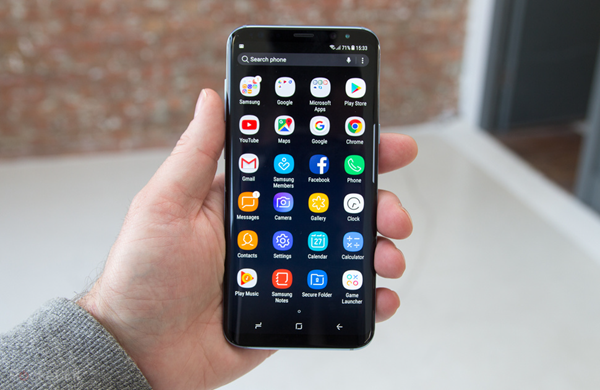 Oftentimes, we take the reliability of Samsung’s Galaxy phones for granted, which can make it even more frustrating when unexpected events occur or things go wrong. For situations like these, open-source computer-based applications offer powerful data recovery solutions for Samsung’s popular Galaxy phones. Such applications are certainly useful, as users report a high rate of data recovery and general satisfaction with these products. However, computer-based data recovery tools are notoriously hard to navigate, leading to an experience that is far from easily understandable or user-friendly. When using such open source software, there are typically numerous different hoops to jump through, ranging from downloading and setting up the data recovery tool on your computer to getting the software tool itself to properly recognize your Samsung Galaxy or other Android-based devices. Even if one is able to get the Samsung Galaxy data recovery tool set up quickly, it can sometimes take hours for these applications to go through your smartphones files in an effort to find your mistakenly deleted data or files. Needless to say, such an experience is not enjoyable for anyone. Luckily, there is a far superior Samsung data recovery tool available for those that need access to their lost data quickly and efficiently. 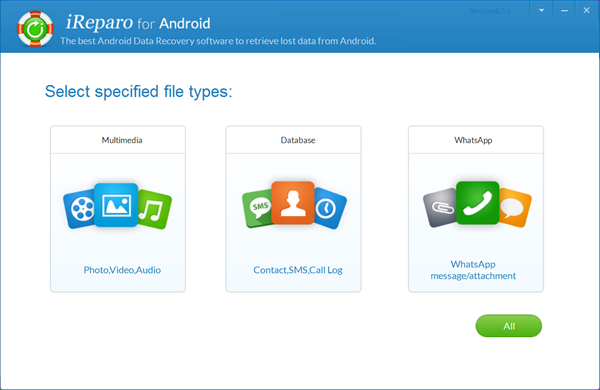 While not an open source application, iReparo for Android offers a data recovery solution that is far superior to any other option currently on the market. For a small investment, those who have lost their data due to anything from an Android operating system upgrade to a factory reset of their Samsung Galaxy can have access to quick and convenient data recovery services. The best part about iReparo for Android is the fact that it is so user-friendly. 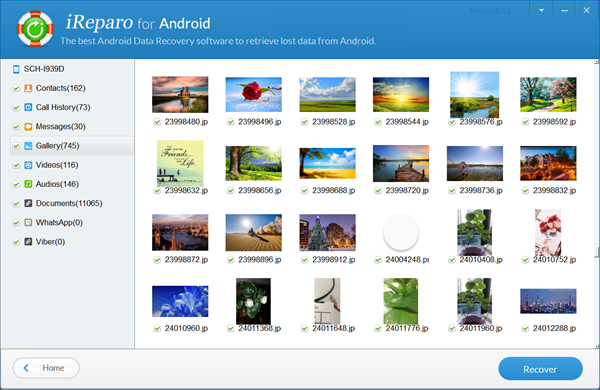 While other options on the market may be able to assist you in recovering your lost data, iReparo for Android is able to do this far better than the competition. Users who make this their data recovery tool of choice are treated to a truly delightful user experience. While competing applications require confusing setup, this tool allows users to recover deleted data from Samsung Galaxy phones in three easy steps. All that users have to do is connect their Samsung Galaxy (or other Android devices) to their computer, scan for lost data using the program, and recover the previously lost data that they want to save. With a recovery process as simple and easy as this, it is hard to match the value that a small investment in a copy of iReparo can deliver to customers. Throughout this brief article, we have seen that not all data recovery tools for Android smartphones are created equal. While there are a number of free, open source recovery tools available on the market, these are often confusing, hard to use, and slow. On the other hand, a small investment in a copy of the iReparo for Android software can help to ensure that recovery of your Samsung Galaxy’s data is only a few short steps away. As with any purchase these days, we know that you have multiple different options available for Android smartphone-based data recovery tools. There are certainly many good options on the market, but few (if any) of these choices can compare to the value and user-friendly nature that a copy of iReparo for Android provides for our customers. With a strong engineering team and high levels of customer service, we are confident that it is the right tool for your data recovery needs. We invite you to download a copy of it today, and see just how much of a difference our product can make during the data recovery process for your Samsung Galaxy smartphone.